Her remarkable fitness accomplishments highlighted in a previous newsletter, Judy More is a 78 year-old mother of three children and a help to countless other children as a volunteer at Akron Children’s Hospital for over 20 years. 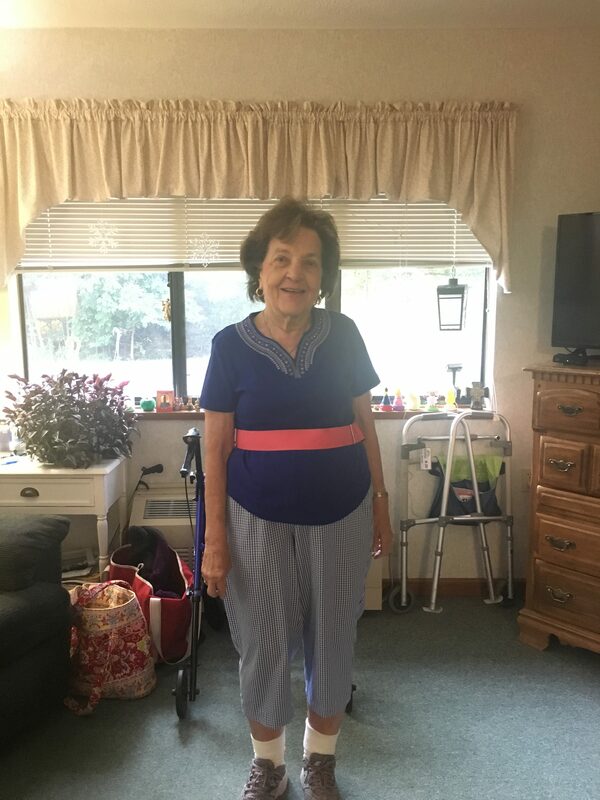 She has been working with Sonia for several years in which time she has progressed from using a wheelchair to walking independently and with a walker. This fall, Judy demonstrates that it is never too late to set and achieve your fitness goals. This summer Judy set a goal to walk 50 miles in the Stark Parks by winter. It is only September and Judy has already walked 58 miles. She shredded her goal and is on course to complete over 100 walks this fall. Join Judy and set a goal for your own fitness this fall and blaze your own trail in a local park or neighborhood!